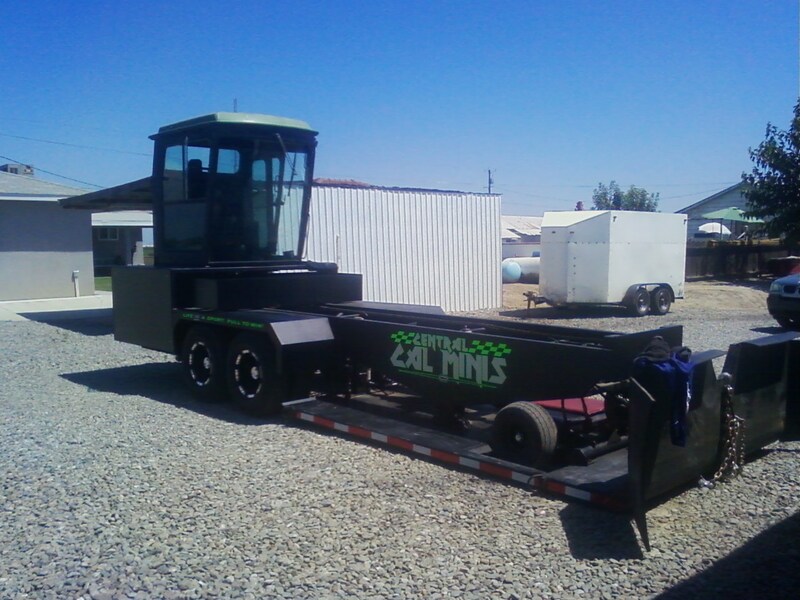 Hi Pulling Fans, from the deep south of Europe some shot from team owner of the ex Mr.Twister from Scott Tedder. 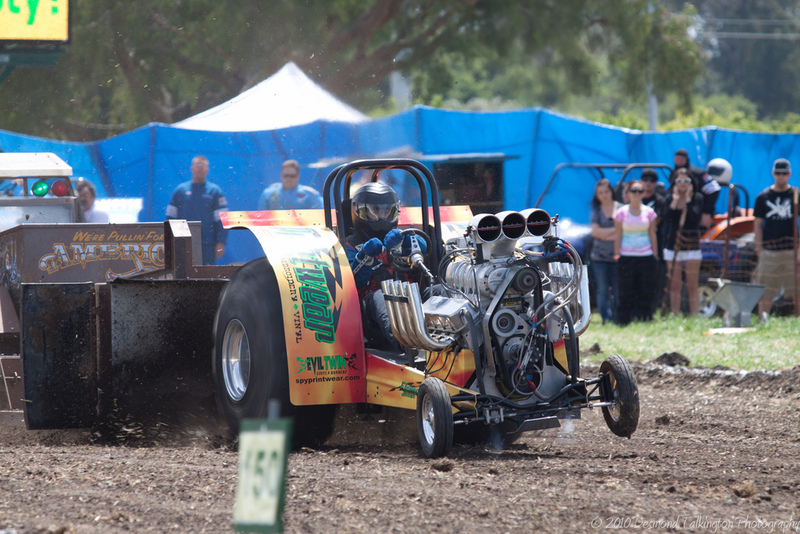 Despite the bad weather in the last few days, the Pull in Sonsbeck this weekend is going to happen. Place is ok, weatherforcast isn't that bad (and has promised way more rain than we got), so we'll give it a try! It was a busy weekend at Lengerich! First rain made it impossible to get the crops off the field in time, then more rain caused a real problem to get to the clay that was suppsoed to go in (trucks got stuck), so finally on friday, clay had to be bought and hauled in from 100 km away for the track preperation and was put in friday night. The people from Coevoerden did a heck of a job preparing a track over night, that was heavy enough to let the tractors use all of their power and get the noses up. Then some further trouble with the Keep Moving being a bit too heavy for the 3.5t Super Sports to get to move caused a sled change to the Blue Fighter and quite a delay in the time table. After a spectacular competition Fair Power from the Netherlands and Back in Buisiness from Denmark were the winners of the night. The team from Lengeridh would like to really thank the dutch and danish competitors for coming and putting on a hell of show. The german Farm Pullers were all excited and really enjoyed watching how the "professionals" do it. In the end the Euro Challenge had a very positive effect on the german scene and also showed us where to improve - which we will! The final results can be found here. Next weekend it's Eurochallenge time again! Together with the promoter of Lengerich the rather new group of Hot Farm pullers in the DTTO will welcome tractors from the Netherlands and Denmark for some hopefully nice competition in the little village of Lengerich near Lingen in the very west of germany. 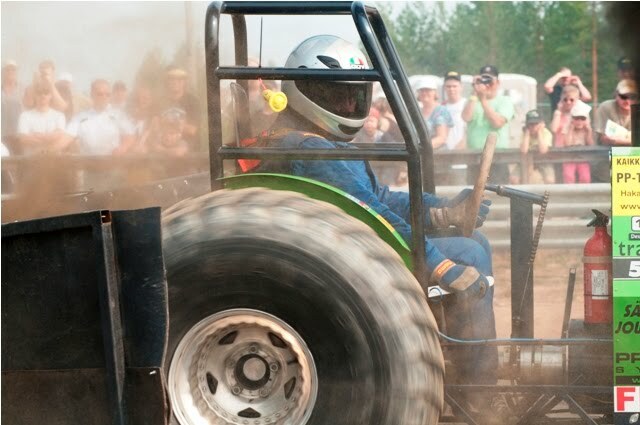 Traditionally Lengerich has been THE outlaw event in Germany and was the biggest Tractor Pull outside of the DTTO. 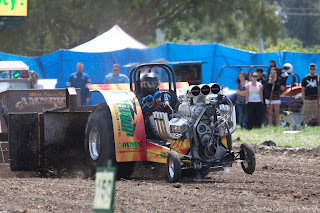 After the formation of the "Farm Pulling Division" within the DTTO three years ago, it was now possible to sanction the event and bring in about 35 "Hot Farm" tractors, that are "ETPC legal" for competition on saturday night and sunday afternoon. Almost 200 stock tractors will also compete in various weight classes before and during the Euro Challenge on the twin tracks. Especially for the Euro Challenge a new clay track was put in, and everybody hopes it will satisfy the needs of the higher horsepower tractors of our foreign guests. We hope to welcome you at Lengerich next weekend! Intro of "THUNDER PULLING 12"
pullingworld.com. Simple theme. Theme images by fpm. Powered by Blogger.